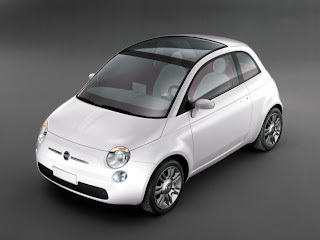 The New Fiat 500 owes its origins to the Fiat Trepiuno Concept car that premiered at the Geneva International Auto Show in 2004. 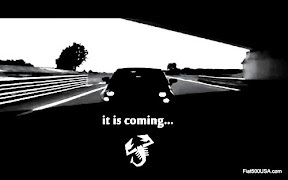 The Trepiuno was designed by the Fiat Style Centre under the leadership of Frank Stephenson (an acclaimed designer who designed the 2001 Mini while at BMW and was the Director of Ferrari-Maserati Concept Design and Development where he penned the design of the Maserati MC12, Ferrari F430 and also oversaw the introduction of the Maserati Quattroporte and Ferrari Scaglietti and more recently was just appointed Stying Director at McLaren Automotive). 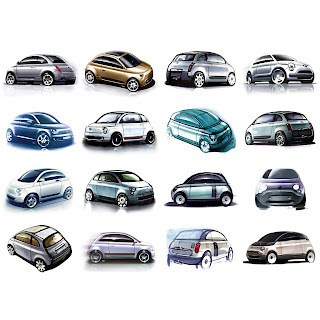 The designer who penned the Trepiùno concept was Roberto Giolito, who was Director of Advanced Design Fiat Auto. 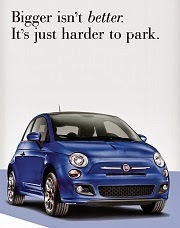 It evokes the shape and character of the Nuova Fiat 500 of 1957. The cheerful, fun look of the 1957 model is updated into a modern interpretation and shows how timeless the basic design was back then. 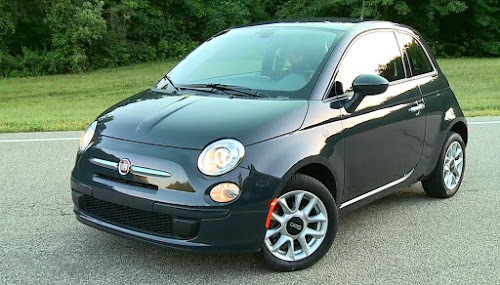 As with the original car, designed by Dante Giacosa, the modern designers lengthened the passenger compartment for maximum interior space and reduced overhangs. This also gives the design an airy feeling of space. 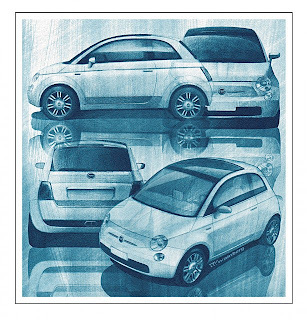 Although compact, the Trepiuno has a wide stance and conveys an eager sporty look. The retro touches on the car pleasantly remind us of the icon from the past but are updated with modern technology. The name Trepiuno is a contraction in Italian meaning "tre piu uno" or "3 plus 1" and refers to the seating arrangement. Unlike a "2 plus 2" which is meant to normally carry 2 people plus an occasional 2 others, the Trepiuno can carry 3 people normally plus an occasional additional passenger. This is all within it's small (3..3 meter/130 inch) length. 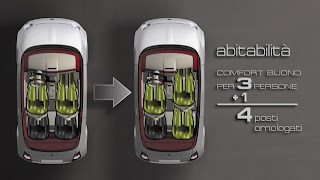 This is due to an ingenious arrangement involving the space in front of the front passenger seat allowing it to be positioned farther up front, leaving more room for the rear passenger. This allowes a third passenger a comfortable amount of room behind the front passenger. 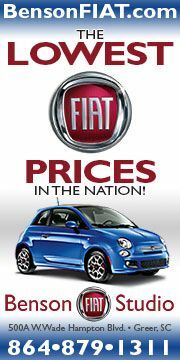 Below is the official Press release from Fiat on the Trepiuno. 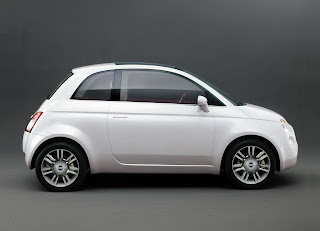 The 'Fiat Trepiùno' prototype, immediately conveys the idea of compactness. This is due to a side section made up of several overlapping layers and a shell-shaped roof that looks much smaller than the sides when viewed from above. The car's specific proportions and certain external traits give it a fun appearance that also conveys a clear impression of solidity and sturdiness. 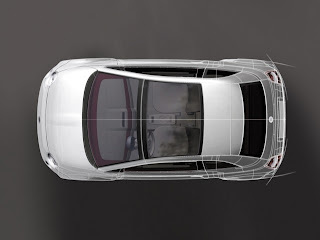 Working with a total length of just 3.3 meters, the designers lengthened the passenger compartment to obtain a pleasing shape that features a very airy side view, a very short bonnet and minimal wheel overhang. The bonnet is wraparound type and folds over the sides while the omega-shaped rib, now as then, fills the front end without adding any grilles or friezes. 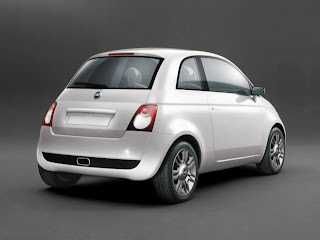 no motif has been re-used on the 'Fiat Trepiùno' before considering its usefulness on a present-day car, reviewing its functions and materials or even finding it new applications. For example, the two headlights set into the front end are accompanied by two supplementary lights that are the very essence of cutting-edge technology. The tail-lights, on the other hand, work with LCD screens that display readings in graphic mode: and so communication passes from the car's interior to its exterior. 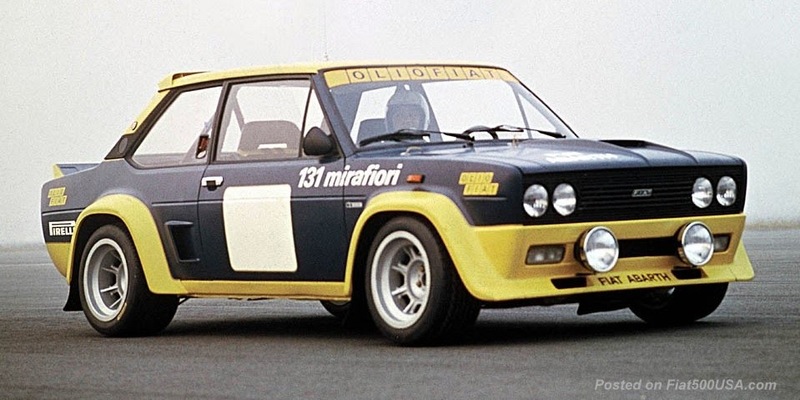 Another example of reworked style is the famous canvas hood found in some super minis of the past that has been interpreted by a Sky-dome on the 'Fiat Trepiùno'. The large window, continuous with the windscreen, stands in for the roof in linear and airy manner while emphasizing the two arched pillars. 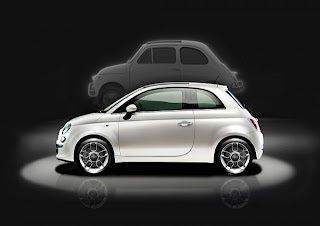 The rear end proposes on the 'Fiat Trepiùno' a tailgate with a higher threshold that incorporates the rear window and roof spoiler. The solution adopted is very practical for loading and unloading everyday items.And so from the exterior to the interior. The designers devoted the greatest attention to details without ever losing sight of the simplicity that is the keynote of the new car. Simplicity does not mean stripped bare, however, but exemplifies a particular approach to styling and construction where the aim is simplified use. The result is an airy, spacious passenger compartment, a place where you can live well and be at your ease throughout the time you spend in your car. 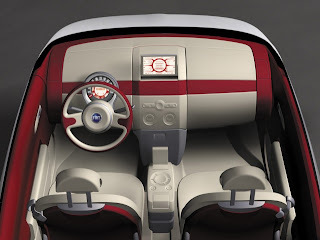 And it is also a welcoming, protective place due to the broad ring that delimits the entire interior space.The appointments include front seats of minimum thickness that offer more comfort than seats with conventional padding. They are made out of a layer of soft polyurethane that is complemented by a more rigid polyurethane structure to create a flexible, comfortable three-layer structure able to absorb all loads and, above all, not detract from the volume and space. The seats allow so much room in the back that two further places can be created through a clever arrangement of backrests and cushions. For example, the split backrests fold forward to create the customary extended load compartment. Or they can be turned up to cover the extended boot area from prying eyes. All this makes it possible to reconfigure the interior to suit the car's various applications and also to accommodate tall people in the back. In a normal 3+1 configuration, the front passenger seat is moved so far forward that it is almost swallowed up by the facia. 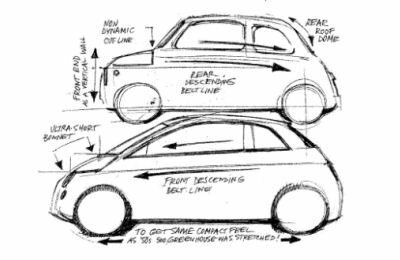 The facia can be deflated by means of a conversion process to leave room for the front passenger's legs. This makes more room available for people in the corresponding rear seat. 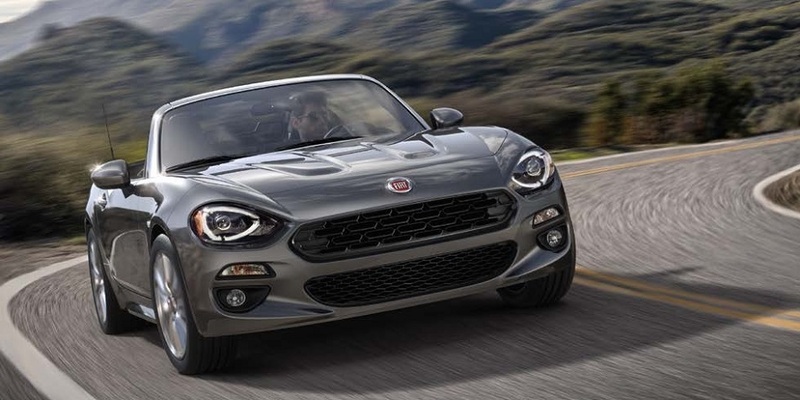 New material technology has made the 'Fiat Trepiùno' the first car to transcend the classic '2+2' arrangements of certain coupés or open-topped sports cars and also the configurations of many city cars that limit passenger room to just two seats in the front. 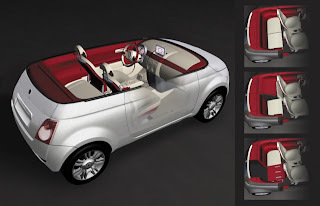 The prototype has thus made it possible for the 3+1 concept to be introduced for cars with little room in the back. This has been achieved through an innovative structure, able to adapt to the most common transport needs and satisfy the greatest number of users: 2 seats, 3 seats, 3+1 emergency seat. 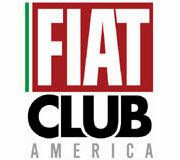 To sum up, the Fiat prototype joins the boot compartment to the facia by means of a set of possible conversions that effectively make the interior fully reconfigurable. The facia deserves a section of its own due to its shape and functional potential. 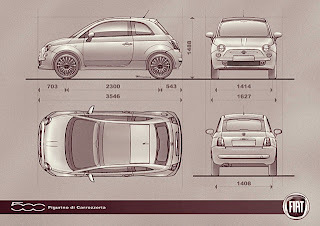 In fact the 'Fiat Trepiùno' proposes an innovative solution that can incorporate the structure and equipment of a present-day dashboard. The upper area therefore accommodates 2 drawers while the controls on the central console are under a film. All you have to do is brush them with your fingers and a light will follow your movements and receive your input. A liquid crystal display extending from the same console shows the menu of another one-touch multifunction control. This control is located between the front seats so that it can be used in intuitive, simple manner without dropping your gaze from the road. Light is also used to ensure the driver obtains a response to any operation: air conditioner temperature or main service activation. Night-time driving and night-time passenger compartment perception are also aided by lights through the use of LEDs concealed in the floor and door pouches. 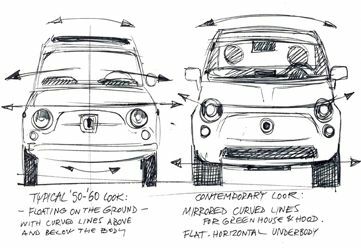 An original design, then, to meet a new post-modern consumer trend that reworks retro shapes and styles to meet present-day needs. It is evident in fashion, music, furnishing and lifestyle: the term 'post-modern' surfaced at the end of the Nineties and inspired designer collections throughout the world. A look that juxtaposes retro smells and colors with up-to-the-minute symbols, objects and styles. A mixture of past and future, a style and construction movement that moves away from mass production to create a unique object. 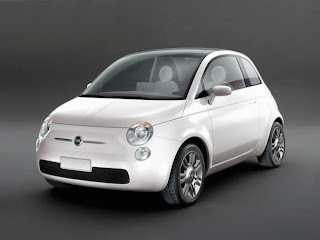 Fiat Auto thanks the following for their help in the production of this concept: Bosch, Ficosa, Hitachi, I.D.E.A. Institute, IXFIN Magneti Marelli, Johnson Controls, Pirelli, Rieter and Toora.